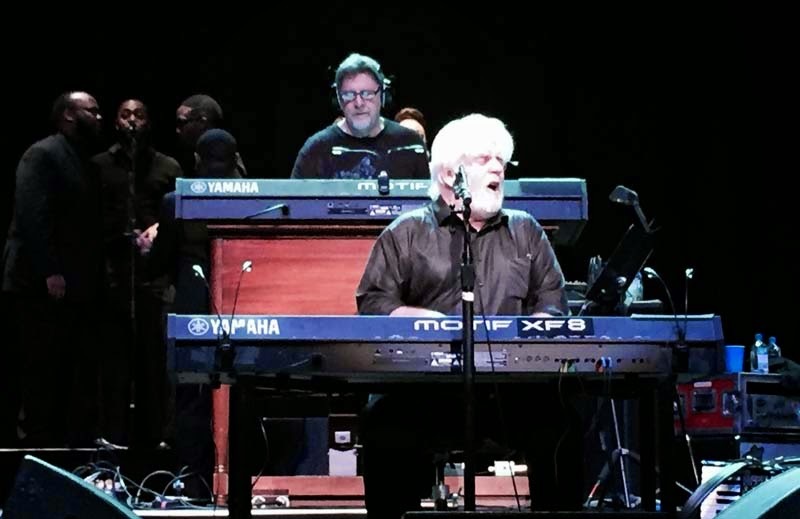 The Michael McDonald concert at the Paramount Theater in Denver on Thursday was excellent and much more lively than I expected. Somehow, I thought there would be mostly quiet Christmas songs with the bit of Doobie Brothers music thrown in. Actually, that's exactly what it was, but more. His choice of Christmas songs ranged from the traditional to rocking to get-up-and-dance Gospel music. The Irish song "Wexford Carol" was hauntingly beautiful and my mind went back to my visit to County Wexford in Ireland. I found this amateur video from a year ago on You Tube: link. He played the keyboards, as I expected, but there were songs where stood at the microphone and sang without playing an instrument. He also played the guitar on other songs. At one point he bent over and picked up an accordion saying "this is never good...especially when you're pants are falling down"! I didn't expect to see an accordion but it was perfect for "Christmas on the Bayou". I liked that song so well that I bought it. He sang a romantic Christmas song for his wife who was in attendance - very nice. I was glad to hear some favorite Doobie Brothers songs and the crowd was on their feet, singing along: I Keep Forgettin' (Every Time You're Near), Minute By Minute, What A Fool Believes and, in the encore, Takin' It To The Streets. All of his musicians were top notch. For a few songs he had a choir singing behind him, a local group from the Denver area. You can see a few of the members in the middle picture. The female backup singer, Drea Rhenee was so good. If I could sing, I'd like to be able to sing like her. On bass was Tommy Sims (left in the picture, above) who co-wrote the 1996 Eric Clapton hit Change The World. The song won Grammy Awards for Record of the Year, Song of the Year and Best Male Pop Vocal performance for Clapton. 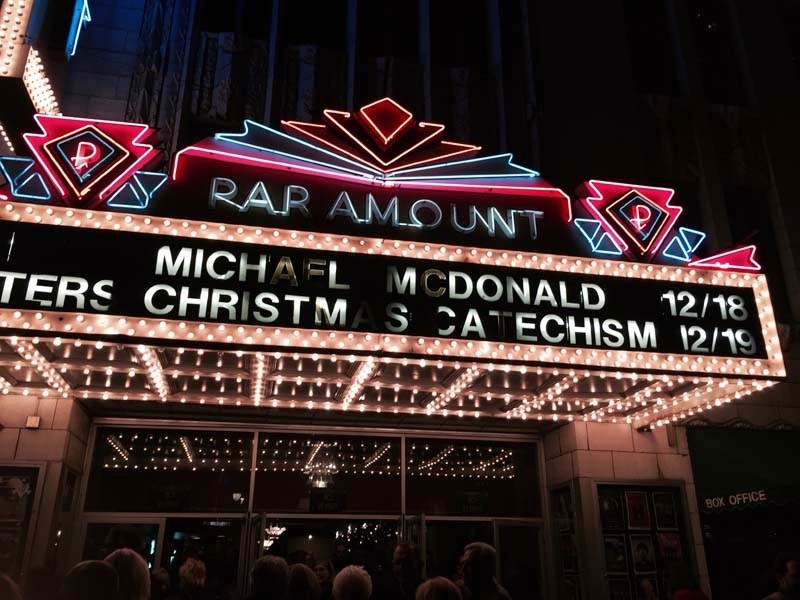 It was a good way to spend an evening, especially so close to Christmas.